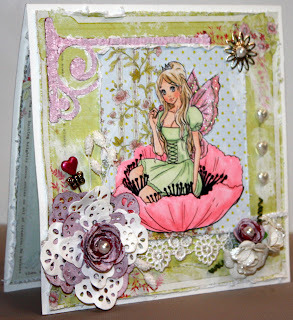 Bizzy Becs Store Blog: Sue with Poppy. Hi Sue here, hope you all had a good weekend. This is another one of the gorgeous images available from Bizzy Bec's new range of images- Butterfly 'Sweethearts'. This is the gorgeous 'Poppy'. 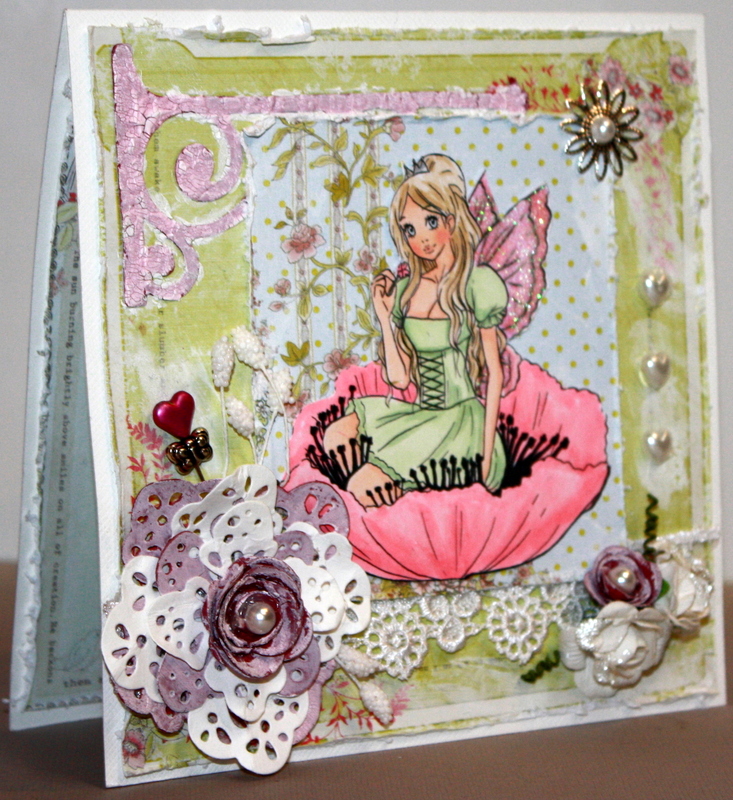 I have again used DP from Prima's - 'Sparkling Spring' Collection, this paper is just so pretty! I have coloured her with Copic's and again used Stickles for her wings, I made the large flower on the left with Doohickeys, and I made the rose in the centre myself, the paper I used was a bit too deep, so I used my high tech tool (finger) and brushed Distress Crackle paint- 'Picket Fence' all over it, quite pleased with the effect! The small rose on the right I did myself too, the white Roses an flower fillers are from Bizzy Bec's as is the lace, Spellbinders Shapeabilities, and the metal flower top right which I popped a Kaiser pearl in the centre of.